Brentwood Baptist Church and Mt. Zion Baptist Church will partner together to hold a special night of praise, prayer, and preaching at Mt. Zion Baptist Church (Old Hickory Boulevard location). 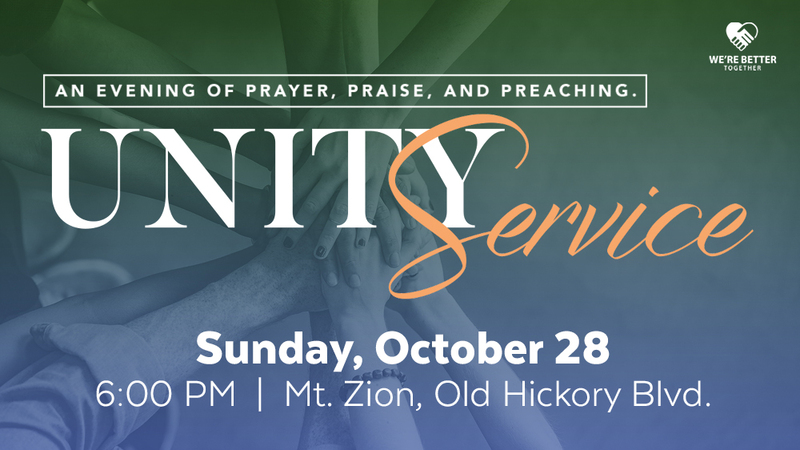 This unity service is an expression of the church taking the lead on racial reconciliation and unity. During the service, you will hear from Bishop Joseph Walker and Mike Glenn, as well as both choirs from Mt. Zion and Brentwood Baptist Church.